China may have forecast a lower growth rate this year, but companies interviewed at the recent Chinaplas show in Shanghai are still expanding, against the back of the burgeoning packaging and automotive sectors and the country’s 13th five-year plan that will stimulate a new round of consumption and industrial upgrade. The show closed with a total of 3,323 exhibitors and 148,575 visitors from 160 countries and regions. With the global automotive market demand mainly driven by China, which has accounted for nearly 35% of global light vehicle sales in 15 years, it is little wonder that German speciality chemicals firm Lanxess is rooting for business in China/Asia. In fact, in 2015, its sales in China represented nearly half of the total in Asia Pacific. “We were successful last year, and this year has started promisingly, driven by the Chinese automotive market,” said Milan Vignjevic, Head of Sales & Marketing for High Performance Materials (HPM) in Asia Pacific. The HPM business unit makes Durethan polyamide (PA), Pocan polybutylene terephthalate (PBT) and Tepex thermoplastic fibre composites. With increasing mobility, the trend is towards lighter, safer and more fuel efficient cars. Since the use of engineering plastics in cars in China accounts for only 35% of that in Germany, there is further high potential for metal replacement, said Milan. One example of a serial application production in China is of IHU and injection moulding, which is a combination of inner high pressure forming of aluminium tubes and injection moulding using Lanxess’s Durethan PA.
“The IHU technology provides excellent stiffness and strength, against side impact, while the injection moulded Durethan is filled with 60% glass fibres and is an ideal choice for metal-plastic replacement,” said Milan. The first use in the automotive industry is for a front end and instrument board carrier in Mercedes- Benz A-Class and B-Class models. As well, the recent megatrend of engine downsizing and turbocharging has caused increasing thermal stress to components such as air intake manifolds with integrated intercoolers or charged air ducts. Thus, Lanxess offers Durethan XTS (Extreme Temperature Stabilisation), which elevates the continuous service temperature of PA6 and PA66 up to 200°C and is an alternative to high-temperature polymers such as PPA or PPS. Yet, another technology is Tepex fibre-reinforced thermoplastic composite sheets, with the company “flooded with enquiries” in Asia, according to Milan. The first use was in brake pedals and more recent applications include seat pans, front end and rear bumpers. A recent example is a hybrid-moulded rear bumper beam for Honda’s FCV (Fuel Cell Vehicle) that features Tepex with Durethan PA6, and is made using a one-shot moulding technology. Tepex sheets are produced by subsidiary firm Bond Laminates in Brilon, Germany. 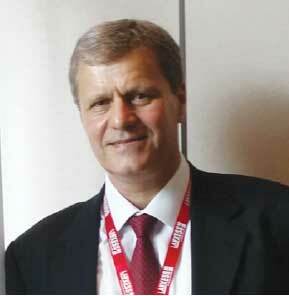 Lanxess has compounding capacity of 60,000 tonnes of PA and PBT in China and 20,000 tonnes in Jhagadia, India. It also has an Application Development Centre (APDC) in Hong Kong, dedicated to automotive parts testing. “We were the first ones to have this type of centre in Asia and are committed to upgrading equipment and software. It is very busy,” Milan explained. With China accounting for just 10 kg use of engineering plastics in a car, compared to 25 kg in Europe, Milan says Lanxess is on the right path for further growth in the region. Meanwhile with Asia, accounting for 44% of its business, and China, 25%, polyamides-based performance materials supplier Solvay Engineering Plastics has taken the cue from Lanxess and is setting up an Application Performance Testing (APT) centre for parts testing in Shanghai. To start up end of this year, it is its first one outside Europe (it has a centre in France) and is aimed at accelerating the development and validation of Technyl PA applications said Marilyn Lye, Asia Region Director. “The market is growing for automotive testing needs, not only in China but also in Asia. Most of parts testing is done in Europe so that is why we have decided to set up in China.” Solvay says its bench tests are developed and customised in collaboration with OEMs and major Tier 1 suppliers. It also includes CAE simulation capabilities with MMI Technyl Design and 3D printing with Sinterline Technyl prototyping. The China facility will initially be equipped with installations for metal replacement applications, like under-the-hood parts on covers, followed by air intake and cooling systems, said Lye, adding that Solvay has invested in Shakers and impact resistance equipment. Another company that is banking on the Chinese automotive sector is Germany-based Domo Chemicals, which recently opened a nylon compounding plant in Jiaxing, Zhejiang Province, with a capacity of 10,000 tonnes. Another 5,000 tonnes will be added in 2017, and another 5,000 tonnes in 2019. It will manufacture Domamid nylon 6 and 6.6 or high temperature nylon (HTN) functionalised compounds to serve the automotive, electrical and consumer goods industries; with Econamid and Oro engineering polymers range based on pre-consumer waste feedstock. The company says it has doubled sales in the past year, with automotive applications, especially under-the-hood applications, driving the increase. Meanwhile, Italian firm Radici Plastics, which has a facility in Suzhou, recorded a growth of 40% last year. “During the last two years we have significantly strengthened our presence in the Chinese market,” said CEO Edi Degasperi. It is also installing its fourth extrusion line, to increase production capacity by about 5,000 tonnes/year and shoring up its sales network in eastern China. “The outlook for 2016 is decidedly positive for us,” Degasperi said. 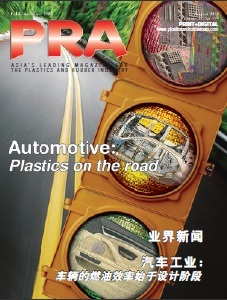 “We are expecting a 20% increase in sales volume compared to the past year, and the automotive sector is going to be the driving force of our growth and new developments.” It was promoting speciality PAs, resistant to high temperatures, and longchain polymers featuring enhanced chemical resistance, at Chinaplas. While some materials companies are consolidating, TPE maker Kraiburg TPE is expanding its business on accord of growth of sales from China. 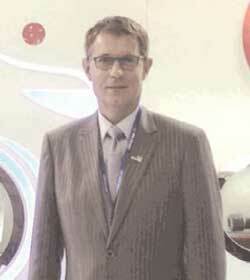 According to Roland Ritter, Director Asia Pacific, the company, which has a facility in Malaysia, will expand its current capacity, to be ready for operation in 2017. “We increased the size of the facility last year to add on another 5,000 tonnes output. 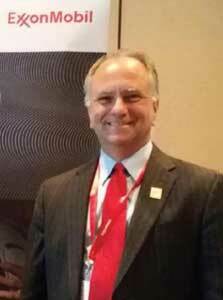 By the end of 2017, we will be able to produce 15,000 tonnes/ year of TPEs,” said Ritter. Furthermore, the Germany-headquartered company has doubled its revenue in Asia, over the last five years, with a 20% increase in turnover in the first quarter of 2016, compared to the same period in 2015. Globally, the firm has seen its sales revenue increase by 13% in 2015, compared to 2014. He also said that Kraiburg’s business in China has been “positively encouraging.” It has been selling to the Chinese market since 2004. Though there are no plans for a facility in China, Ritter said the company will be expanding its warehouses to increase “logistical efficiency while providing better services.” He also added that more warehouses will be added on across China in the near future. To support its growing sales, Ritter said Kraiburg will be adding on more sales staff and technical service teams in China, South Korea (where it is opening an office), Thailand and Vietnam. It also has sales offices in Hong Kong, Taiwan and India, and works with partners in Japan, Australia, New Zealand, Indonesia and the Philippines. At Chinaplas, it was focusing on two new compound series: UV/HF and UV/HF/SF targeting new high flow technology for window encapsulation, for the automotive segment. “We are investing in new product development and lab testing equipment for the automotive sector,” said Ritter, adding that Kraiburg’s TPE compounds have also been globally approved in the Approved Source List for car models produced in different regions. “We also recently launched a colour compound service. Our TPEs can be colour compounded upon request,” said Ritter. Kraiburg commenced operations in Nilai, Malaysia, in 1996, with three staff. 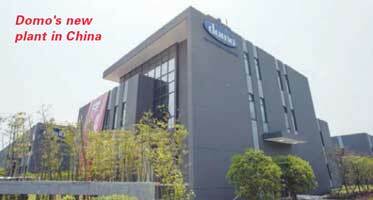 In 2002, it expanded and moved to Puchong, and moved again to Seri Kembangan in 2008, when it established a facility. Its initial production capacity was 2,500 tonnes/year. It will be celebrating its 20th anniversary in Malaysia this year, with its current staff force of 80. DuPont Performance Materials is building a new plant in Guangming, Shenzhen, known as Apollo. It will produce the company’s Zytel nylon, Zytel HTN nylon, Crastin PBT thermoplastic resin, Delrin acetal resin, Bynel adhesive resin, Fusabond functional polymers and more. The former Shenzhen plant, which was set up some 18 years ago, will be shut down and production will be shifted to Apollo, which will be inaugurated at the end of June, said Philippe Hanck, Business Director, Asia Pacific. “It will be the largest compounding plant for the company globally. The constructed area is quite significant and there is quite a lot of space available for future expansion,” said Hanck, adding that the company does not reveal capacity figures. “Furthermore the new facility will feature new types of extruders and equipment for compounding and will allow for flexibility, stability, quality of materials and faster turnaround time,” he rounded up. Hanck also said that the new plant is essential to service customers in a majority of locally produced products. “China represents at least half of the volumes we sell in this region and we sell in China to serve local customers. Germany, Japan and the US have many end users that specify our materials for products that are sold in China, so we also serve the global market,” he added. DuPont has a compounding plant in Singapore that also caters to the Asian market. Another company upping capacity at its China plant is German additives maker Baerlocher. The US$5 million investment in the Changzhou facility, which has been producing calcium stabilisers for PVC since 2012, will be completed by year end. Baerlocher’s plant producing calcium stabilisers in Malaysia also supplies to China. In China, the replacement of lead-based stabilisers by calcium-based alternatives is expected to gain momentum in 2016/2017, particularly for rigid PVC applications. China’s own plastics pipes association (CPPA) had targeted the transition for production of pipes and fittings without lead stabilisers as soon as the end of 2017. In addition to the move away from lead, fittings stabilised with methyl tin face scrutiny due to water quality concerns, consequently, replacement by calcium-based stabilisers is expected here as well. Thus, Baerlocher says its sales in China are already in excess of 20,000 tonnes/year. 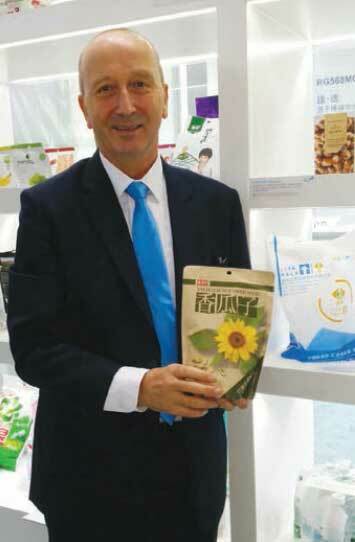 “Baerlocher is by far the largest company from outside China to significantly invest in supporting the Chinese plastics industry during its transition to calcium-based stabilisation,” said Wilson Wang, General Manager of Baerlocher Plastic Additives (Jiangsu). It is also focusing on raw material integration, with the decision to produce metal soaps, raw materials for calcium-based stabilisers. 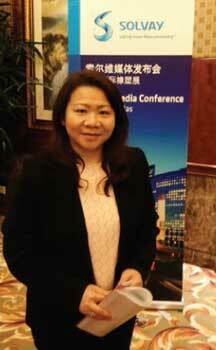 Baerlocher also intends to sell non-dusting and powder stearates in various polymer and non-polymer markets in China. Meanwhile, South Korea’s Songwon Industrial Group, the second largest manufacturer of polymer stabilisers in the world, says its aim is to become a leading stabiliser supplier to the Chinese plastics sector. It currently has two manufacturing facilities in China with its joint venture partners: Songwon Baifu and Qingdao Long Fortune Chemical & Auxiliary. The first one, located in Tangshan, is fully back integrated with a capacity of 8,000 tonnes/year and produces thioester antioxidants for the Chinese market, as well as other key regions. 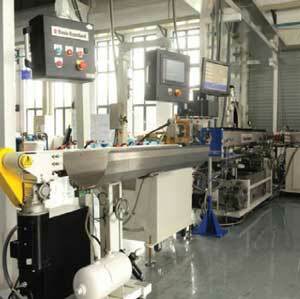 The second facility in Qingdao produces Songnox One Pack Systems. The plant is currently in the final stages of construction and due to be fully operational in Q3/2016. Singapore-based polyolefins maker Borouge is focusing on sustainable plastics solutions for consumer applications, said Laurence Jones, Vice-President for Film and Fibre. A joint venture of Abu Dhabi National Oil Company and Austria's Borealis, Borouge utilises its Borstar process and catalyst technology to churn out PP and PE grades for flexible and rigid packaging applications. Another novelty is a packaging it introduced in China, working together with converter Guangdong Tengen Printing and courier company SF Express, for delivery of frozen food to consumers who place their orders online. “E-commerce is big business in China and the government is worried by the waste it will generate. In a tri-party collaboration, we have designed a courier pack that is recyclable using the Borstar technology,” said Jones. For rigid packaging, Borouge has launched RG568MO, a random PP said to provide absolute clarity. This is the first solution to leverage Borouge’s in-house random technology. “China’s houseware producers can now look forward to offering enhanced aesthetics and ensuring package contents are clearly visible,” said Jones. Borouge’s compounding facility in Shanghai increased its production capacity from 50,000 to 90,000 tonnes/year last year, with the addition of two new production lines. It also recently set up an Application Centre in Pudong. US firm ExxonMobil Chemical used the show to globally launch its Exceed XP performance PE, an extension of its Exceed and Enable portfolios, designed for upgrades in a variety of film applications and to run faster on blown film lines. Developed through advanced catalyst technology, the new PE is initially available in four grades with a range of density and melt index flows, said Larry Gros, Global Polymers Product & Applications Development Manager. Improvements for liquid packaging include integrity, with enhanced dart impact strength, tear resistance and flex-crack resistance, said Gros. “In bagin- box bladders, XP can replace more expensive plastomers in the formulation.” He gave an example of XP use in bag-inbox for tomatoes, to mitigate the risk of pinholes caused by the repeated movement of the tomatoes during production and transportation. This, combined with the film’s sealing performance, can minimise leakage and product waste, Gros said. He also added that a low seal temperature of 95°C, while maintaining good stiffness and flexural modulus properties, makes the new grades suitable for pillow and stand-up pouches. Furthermore, Exceed XP allows converters to produce films for high-volume content food packaging. 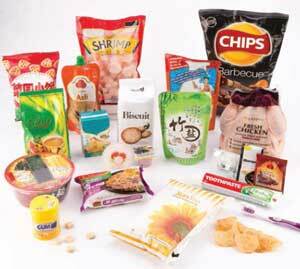 “The flexible food packaging market continues to drive toward more lightweight, yet stronger and more effective solutions, XP produces tough films with sealing performance, and downgauging levels of up to 30% can be achieved, while helping to extend shelf life and product safety to protect and preserve food longer,” explained Gros. 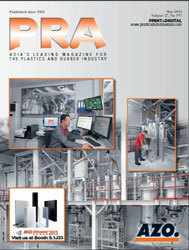 In processing, the polymers offer a range of options for bubble stability and ease of extrusion. 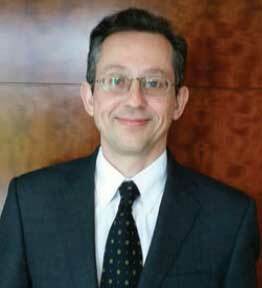 “Converters can optimise film solutions through the addition of 20-30% C4 LLDPE to the XP,” added Gros. In a press conference earlier, Cindy Shulman, Plastics and Resins Vice President, said that the China market had grown and developed significantly for ExxonMobil. “Almost 90% of our growth in performance PE is in emerging markets and 50% of that comes from China.” Thus, it’s no surprise the global launch of Exceed XP resin took place in China. Dow Chemical says it is catering to the changing market trends and demographics that are driving increased consumption across a growing middle class in Asia/China. PacXpert will be introduced to the Chinese market in the second half of the year, through its licensee, flexible packaging converter China Sun. Other licensees are Kyodo Printing in Japan and Takigawa Corporation for Australia, Indonesia, Japan, Thailand and Vietnam. The US firm also introduced at Chinaplas, a new family of PE resins known as Innate, created from a patented molecular catalyst coupled with advanced process technology and launched last year. “Innate allows for up to 50% improved mechanical properties, compared to traditional PE resins, as well as improved tear properties and increases processing speed of collation shrink material,” said Kiattipong, adding that Innate resins represent a new category of ethylene-based copolymers that fit within the range of LLDPE resins. Swiss speciality chemicals firm Clariant’s Christian Kohlpaintner, an Executive Committee member, pointed out that China is a decisive market for the company. 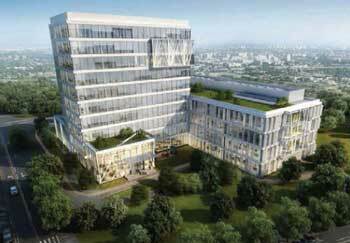 In view of the importance of the market, Clariant is planning an integrated facility in Shanghai that will feature a new regional headquarters and innovation centre. The ground-breaking is scheduled to take place end of 2016. Since setting up its first representative office in Tianjin in 1995, Clariant now has facilities and offices in 17 cities in China with more than 1,500 employees. In 2015, total sales in China, Taiwan and South Korea, reached CHF640 million, which is 11% of Clariant's global sales. But the company is not stopping here, it intends to invest “even more aggressively” in China with 40% of its global investments in 2017 set to happen in China, said Kohlpaintner. At Chinaplas, Clariant was promoting AddWorks PKG 902 additive solution for the packaging industry to increase the recycled content in cast, BOPP and blown films, by making it possible to replace virgin PP or PE resin with higher amounts of recycled film or resin. Davis-Standard’s 46,300 sq ft Suzhou facility represents a core of its footprint in Asia Pacific, where it has two lines for product development and testing. “In medical tubing, in certain markets, processors are working with new materials, with enhanced properties for more difficult processing, and we work together with them to develop applications. Our systems are built to support extruder outputs up to 315 kg/hour and line speeds up to 240 mpm for materials including PLA, PLLA, PEEK, FPVC, polyurethane, nylon, PEBAX and FEP. 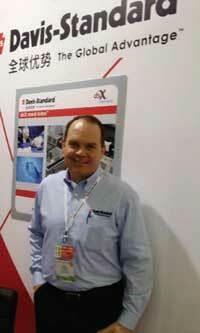 To support this, we offer R&D trials at our laboratory in Suzhou,” explained Jim. The laboratory features direct-drive 19 mm and 24 mm single-screw extruders, each with a polymer melt pump, a sophisticated three-layer spiral flow tubing die, PLC line control with data acquisition, precision vacuum sizing tank for both rigid and flexible products, closed loop ID/OD control via an ultrasonic gauging system, a servo-controlled combination puller/cutting system, and a transport conveyer with single-zone air eject. It also includes a single-layer tubing line designed specifically for the production of FPVC tubing for IV and fluid delivery applications. Davis-Standard’s facility in Pawcatuck, Connecticut, also has a fully equipped medical tubing laboratory. And as the market for antineoplastic devices for internal drug delivery continues to grow, so does manufacturing of micro-bore tubing made from PLLA. A PLLA tubing line sold to a Chinese medical start-up in Tianjin last year, is said to have exceeded customer expectations by successfully producing products ranging from 1.7 mm-2 mm OD with a tolerance of +/-20 microns. “PLLA is a bio-absorbable resin ideal for applications that require a polymer to reside in the body for a controlled length of time before safely degrading and being absorbed internally,” explained Jim. The line is capable of processing tubing from PLA and PLLA as well as a variety of other thermoplastic resins at rates up to 50 m/minute. Davis-Standard supplied the entire line, including a flood cooling tank, which has traditionally been problematic for PLLA. However, recent developments in formulations permit water cooling for a limited residence time without compromising the tube surface. Since the technology centre in China has been a boon to business, the US company has added on 25% more personnel. “We are also adding on more service personnel in Asia. We already have 18 and will add on six more to support the growth of the business,” explained Jim, adding that the service team is spread out over Asia, in China, Hong Kong, Singapore and the Philippines.